When are the official Carnival dates? This was created to provide a schedule for anyone planning on visiting Bahia, Brasil now or in the future. Carnival dates change every year. Usually Carnival starts a day before the "official" start. 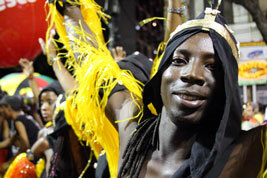 Also festivities leading up to Carnival Salvador start in late December. Be sure to click the link below to schedule your Carnival trip. Now that you have all the dates, you are able to start arranging your bookings for the next must-see Carnival! Beautiful Island only 25 minutes from Salvador by boat, Ilha Itaparica. Itaparica Island (Ilha Itaparica) is Brazil´s largest island in the sea (there are bigger islands surrounded by fresh water in the Amazon estuary). It is one of two islands you should definitely visit when coming to Salvador, Bahia, Brasil. The other one is Morro de Sao Paulo, covered in another post here. Ilha Itaparica, located in the All Saint's Bay is not the only island in the bay. Actually the bay is filled with interesting islands, however Itaparica is the largest. If interested we can help arrange a schooner to take you on a tour of the islands in the bay including Ilha Itaparica. 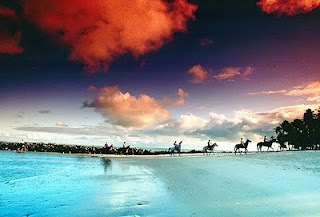 Click this Bahia Tours link to arrange your trip. Ilha Itaparica is one of the many magical places located in Bahia, Brasil. If you head out to the island during the daytime in the low season (April - October) you can pretty much get the entire beach to yourself. Many Brasileiros (Brazilians) like to head to Ilha Itaparica on the weekends, especially during the high season. There are some nice restaurants, pousadas, and even a cool night scene during high season. There are plenty of boats that leave to go to Ilha Itaparica all day long, however many people just take the ferry boats that come back and forth between Itaparica and Salvador every hour. You can even take your car. I included some info about Ilha Itaparica as well as pictures and video footage from a family trip out there a few years back. The history of the island is very interesting. This was one of the first points of contact for the European explorers into the Western Hemisphere. Ilha Itaparica is a Brazilian island in All Saint's Bay (Portuguese: Baia de Todos de Santos), about 10 km from the city of Salvador, Bahia. It is known for hosting the Sul America Open tennis competition. In the island, there are two cities: Itaparica and Vera Cruz. Itaparica can be reached in about one hour by ferry from Salvador. The smaller passenger-ferry departs from near the Mercado Modelo, while the larger car-ferry goes from about two km north to Bom Despacho. It is the former home of the tennis tournament, the ATP Itaparica. Ilha Itaparica has 40 km of beaches suitable for tourists and exuberant tropical vegetation. Meet the genuine Brazil on Itaparíca Island next to Salvador. Enjoy a holiday in the sun on beaches that seem not to have an end. This is a place that Brazilians themselves choose for their holidays. The sea breeze comforts, and it is never cold. Itaparica Island offers a peace and calm in a lush green landscape, and Salvador offers everything that you can expect from a city with 2.6 milliion inhabitants. Salvador da Bahia, the state capital, is situated at 13 degrees south of the equator. Traveling eastward across the Atlantic you will reach Angola. The climate is tropical, hot all year round. Português: O rio da pratinha entrando na grande gruta... aguas cristalinas! Chapada Diamantina, Bahia, Brasil. English: The little silver river entering the great grotto... crystalline water! Chapada Diamantina, Bahia, Brazil. 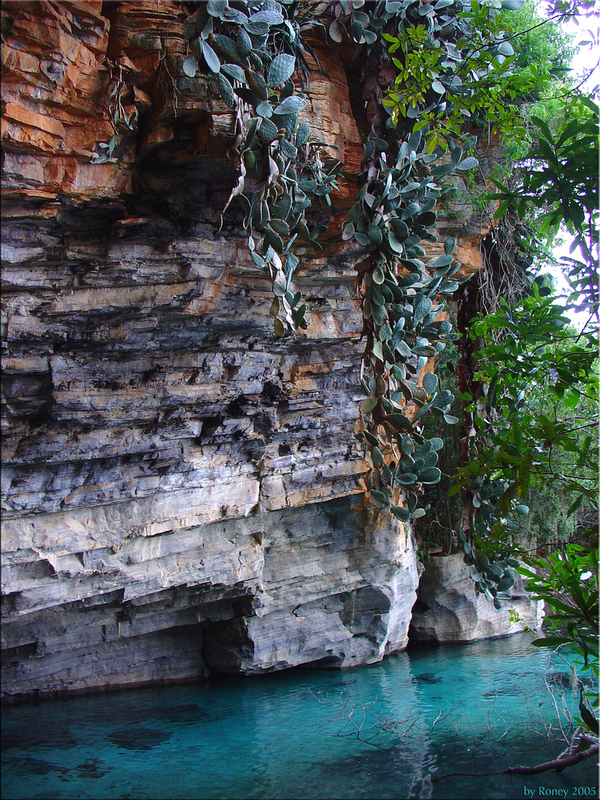 Chapada Diamantina is a region of Bahia state in the Northeast of Brazil. The Chapada Diamantina has a dramatic landscape with high plains, table-top mesas, and steep cliffs or towers known as 'tepuy.' Before the arrival of the Portuguese in the 1800s, the only local inhabitants of the region were indigenous Indians from the Maracas and Cariris tribes. refers to the diamonds found there in the mid-19th century. The geographical center of Bahia is the Diamantina Tableland region. In this mountainous region with a diversified topography, 90% of the rivers of the Paraguaçu, Jacuípe and Rio das Contas basins have their source here. There are thousands of kilometers of clear waters that spring from these mountains and descend in cascades and waterfalls to plateaus and plains, forming beautiful natural pools. The Festa Nossa Senhora da Boa Morte A.K.A. Boa Morte Festival is an incredible event to witness! The Irmandade da Nossa Senhora da Boa Morte means Order of our Lady of the Good Death. 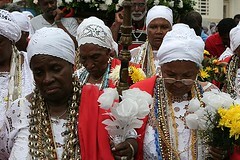 It is a Candomble sorority that has been going strong for nearly two hundred years. I have witnessed the Nossa Senhora da Boa Morte Festival and it was very impressive. People from all over the world come to this small town called Cachoeira to witness this event. Click this link if you would like to attend this wonderful event. This article can be found @ Wikipedia here. 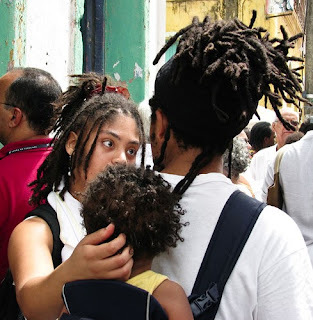 The Order of Our Lady of the Good Death (Irmandade da Nossa Senhora da Boa Morte) is a small but renowned Afro-Catholic religious group in the state of Bahia, Brazil. 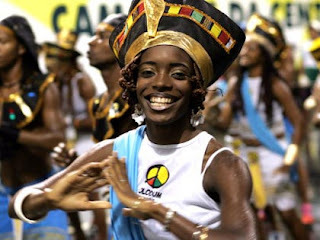 Founded in the early 19th century as a Church-sponsored beneficent Sisterhood for female African slaves and former slaves, it became one of the oldest and most respected worship groups for Candomblé, the major African-based religion in Brazil. Presently reduced to about thirty members (from 200 or so at its height), most of them over fifty, it still attracts worshipers every year, especially at its August festival. The history of the Irmandade da Boa Morte ("Sisterhood of the Good Death"), a religious confraternity devoted to the Assumption of the Virgin, is part of the history of mass importation of blacks from the African coast to the cane-growing catchment area around the port of Salvador, Bahia, known as the Recôncavo Baiano. Iberian adventurers built several towns in this area, one of them being Cachoeira, which was the second most important economic center in Bahia for three centuries.